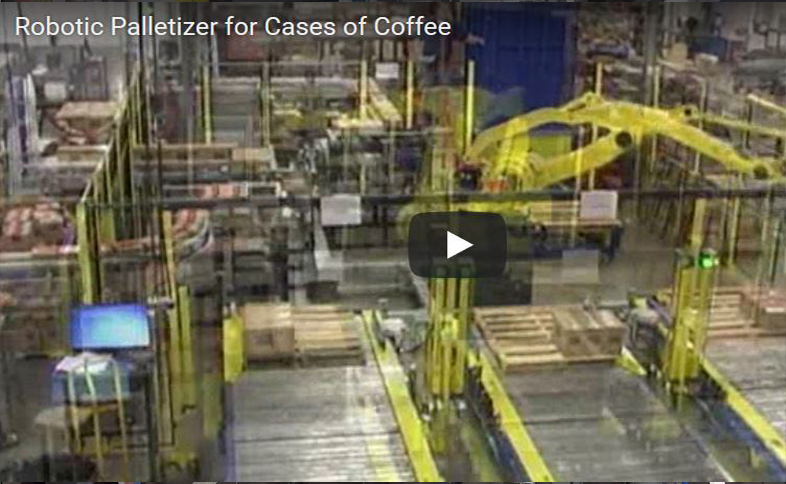 The robotic palletizer is capable of picking multiple cases with vacuum or mechanical end-of-arm tooling (EOAT) and building the desired pallet pattern. Massman Automation integrates ABB, Fanuc, or Motoman robots into the robotic palletizing cell. These systems handle multiple packaging lines with multiple SKUs featuring ALBA pallet dispensers and pallet conveyors which are compatible with many custom designed case and pallet handling systems. Massman Automation robotic palletizers are designed with safety, durability, productivity and efficiency as the top design criteria.The robotic palletizer is designed to your specifications. These heavy-duty machines are built to be dependable under multi-shift conditions. With Massman Automation’s in-house technical expertise in the design and programming of this equipment, you can be assured of years of efficient productivity and low-cost ownership.